Simplilearn’s Cloud Architect Master’s Program will build your Amazon Web Services (AWS) and Microsoft Azure cloud expertise from the ground up. You’ll learn to master the architectural principles and services of two of the top cloud platforms, design and deploy highly scalable, fault-tolerant applications and develop skills to transform yourself into an AWS and Azure cloud architect. The Cloud Architect program is designed to make you an expert in cloud applications and architecture. It will enable you to master the core skillsets required for designing and deploying dynamically scalable, highly available, fault-tolerant, and reliable applications on two of the top Cloud platform providers — Amazon Web Services (AWS) and Microsoft Azure. The program will give you an in-depth understanding of cloud services such as AWS Cloud formation, Azure resource manager, EC2, S3, Route53, VPC, Azure App Services and more. You’ll acquire the knowledge and skills for passing cloud architect certifications such as AWS Architect and Azure Architect. This program consists of a structured learning path designed by leading industry experts. You will have access to 60+ live instructor-led online classrooms, 100+ hours of self-paced video content, simulation exams, a community moderated by experts, and other resources that ensure you follow the optimal path to your desired role of Cloud Architect. The course includes 16+ real-world industry projects that lets you work your way through the technical challenges associated with cloud computing. Why become a Cloud Architect? With the increasing focus on cloud computing and infrastructure over the last several years, cloud architects are in great demand worldwide. Many organizations have moved to cloud platforms for better scalability, mobility, and security, and cloud solutions architects are among the highest paid professionals in the IT industry. According to a study by Goldman Sachs, cloud computing is one of the top three initiatives planned by IT executives as they make cloud infrastructure an integral part of their organizations. 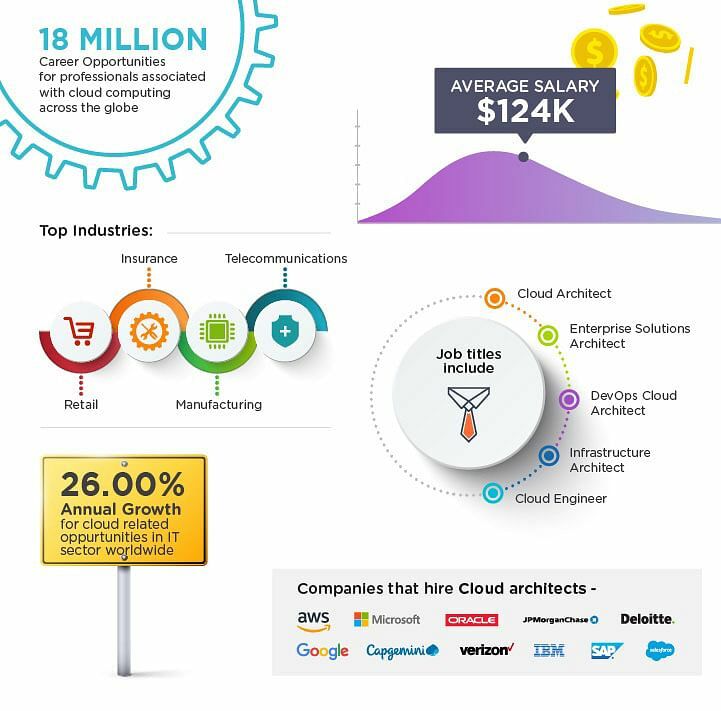 According to Forbes, enterprise IT architects with cloud computing expertise are earning a median salary of $137,957. Scenario: You have been asked to set up a WordPress blog for your company to meet their defined specifications. During business hours (9 a.m.-6 p.m.), the blogging team would like to use their own development copy of the WordPress instance so that any changes don’t impact the live copy. Scenario: Your development team needs you to create a small Linux instance for testing a new application. You must create the EC2 instance per defined specifications. A few days later, the development team informs you that they want to move the instance into production, so they want you to change the specifications of the instance. Verify whether the root volume on the EC2 instance is displaying the correct size. Scenario: Your company wants to distribute content in the form of a website to their global offices. However, due to legal restrictions, you cannot distribute the content in France and Australia. You must find a way to prevent these offices from accessing the data. The content does not change very often; however, some of the files are very large, and you must find a solution to minimize end user latency. The last requirement is that the audit department wants to track those who access the website. Set up a static website using Amazon S3. Create a bucket and enable static website hosting. Set up a CloudFront distribution for the static website with Access Logs enabled. Set up Geo Restrictions to prevent users in France and Australia from accessing the data. Verify that logging is working. Scenario: The OsCrop Corporation wants to build a highly available web application. 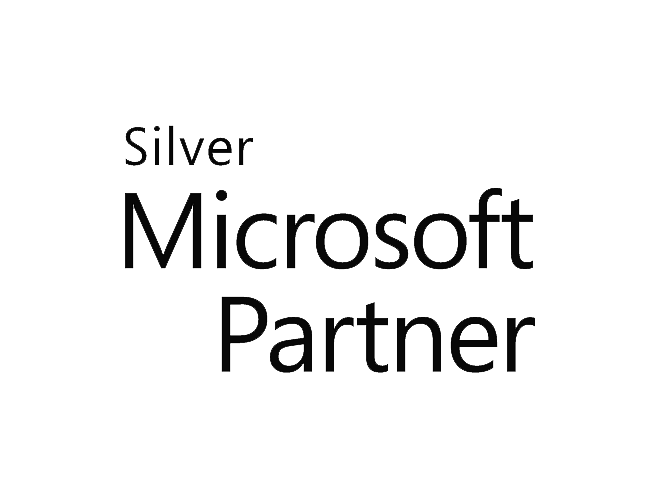 As it lacks the team to manage the environment, it is exploring the option of Azure PaaS (Web Apps) for its web hosting. The user pattern for this application is sporadic in nature; it can expect a spike in traffic at any moment. OsCrop’s management is looking to utilize Azure Auto Scaling capabilities. OsCrop’s management is also looking to have a proper monitoring mechanism to keep an eye on the details of application performance. To achieve this, the team has been tasked to integrate application insights as well. Scenario: The Oscrop Corporation’s management is looking to use Azure as their development platform for the new.Net MVC application they are building. They have identified Visual Studio 2017 as their development framework. They are looking to test Azure Virtual machine to host the development editor. You have been given the task of validating the Community edition of Visual Studio 2017 on Azure VM. As Oscrop’s development team is in Eastern US, they are exploring this as the region for this deployment. The operations team at Oscrop is looking to offload the application's authentication to Azure AD. Any user who is part of an Active directory should be allowed to log in to the application. They want you to validate this using a sample MVC application. Scenario: Create two Amazon S3 Buckets in Mumbai region. Bucket Names will be “testoct28” and “testoct28log”. After creating both the buckets, upload any sample file to the bucket “testoct28”. Then enable Logging in for the bucket “testoct28”. Ensure that log is saved in the bucket name “testoct28log”; also enable the versioning in the bucket “testoct28”. Then Enable the Transfer Acceleration in the Bucket “testoct28”. Enable Logging in for bucket "testoct28"
The log should be saved in bucket "testoct28log"
Enable Versioning in the bucket "testoct28"
Enable Transfer Acceleration in bucket "testoct28"
Who should become a Cloud Architect? When you complete the course requirements outlined in the table below, you will be eligible to receive the Master’s Program certificate that verifies you’ve acquired the Cloud Architect’s skill set. You will receive access to e-learning content for all learning units, practice tests and access to exclusive forums moderated by faculty and industry experts. A Master’s Certification will be earned upon meeting all the program requirements.